Maggie's Big Home: Holiday Art Geometry! Holiday time is a wonderful opportunity to intersect geometry and art. 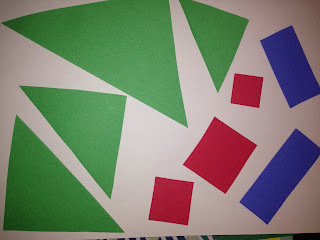 This week we share two fun ways to teach and reinforce geometric shapes. The key is oral expression. So, get children talking about their work! First paint a large green triangle on a paper. Talk about the shape and ask children to find other shapes that look like a triangle in your classroom, on the playground, or in the home. 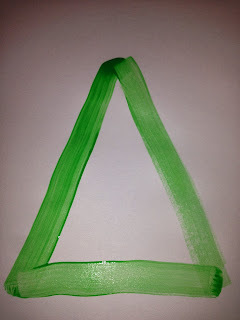 Give children green paintbrushes and ask them to fill in the green triangle. 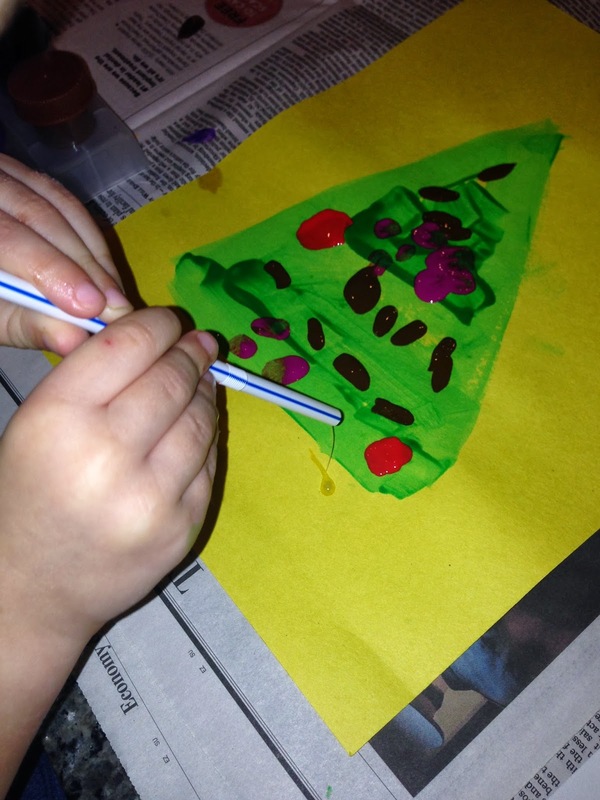 After it dries, suggest they paint red circles or other shapes on the tree. Again, discuss the shapes and ask children to verbalize. For an added touch, I like to have children use a straw to create a string of lights. Dilute paint with water and then put a dab on the tree. Have children use a straw to blow the paint around. There will be lots of giggles and excitement! You can also glue a geometric tree scene. Cut several sizes of green triangles. I cut out squares and rectangles to look like gifts, too. 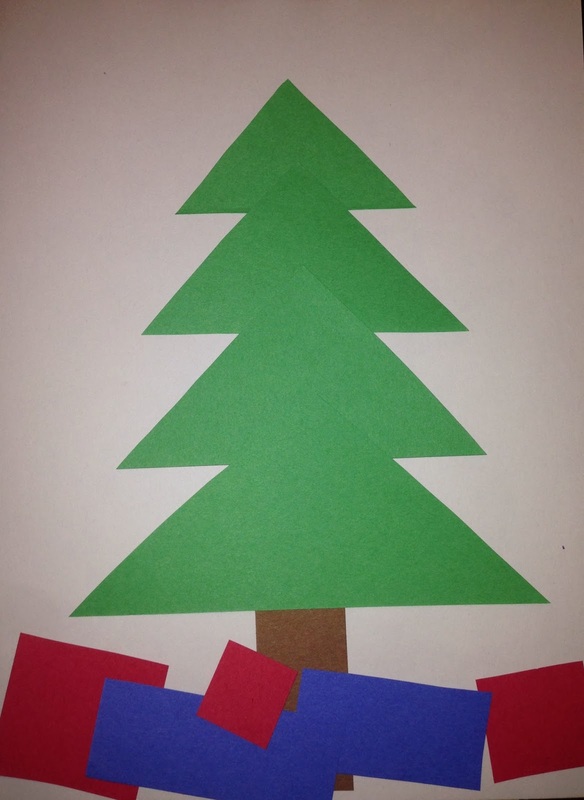 Ask children to layer the triangles from small to large. This is good practice with key math vocabulary. 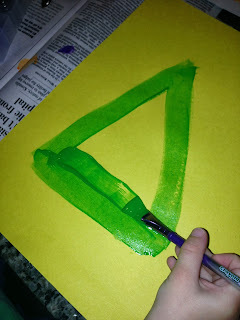 Have children glue the triangles. Later add the gifts as you discuss the shapes. This project can become a winter scene, too. 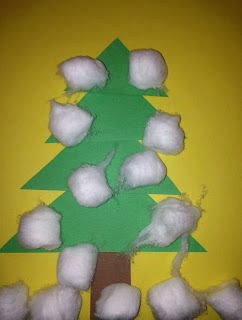 Skip the gifts and glue cotton balls to the trees. As you do this, talk about circles and spheres. The finished product is a winter wonderland of geometry!